What do you get when you release an album enriched with songs–some of which were written over a decade ago? 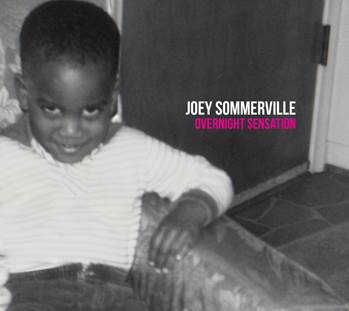 You get Joey Sommerville’s latest album, “Overnight Sensation.” With over 20 years of experience, Joey is still motivated to pour his heart and soul into every song because he is keenly aware that he has a gift that is meant to be shared through music. Although the industry has changed significantly over the years, Sommerville remains comfortable in his skin and true to his craft. Joey brings his music to life when performing, fueled by energy from the crowd. It helps that he is not a shy kind of guy. He shares the sentiment of most musicians that music is meant to be felt. From start to finish, “Overnight Sensation” is a powerhouse of music that can be overwhelmingly felt. Each song, leading with the title track and first single, “Overnight Sensation” sends the listener on a whimsical journey amassed with emotional twists and turns. The album was produced by Joey along with Jeff Lorber on a couple of songs–definitely a match made in heaven. Also lending their talents to the album are Earl Klugh, Jeff Bradshaw, Elan Trotman, and Eric Essix. Each collaboration enhances the treasure trove of songs in Joey’s vault. You will be spell bound after listening to “Overnight Sensation” and taking the heartfelt musical journey led by Joey.